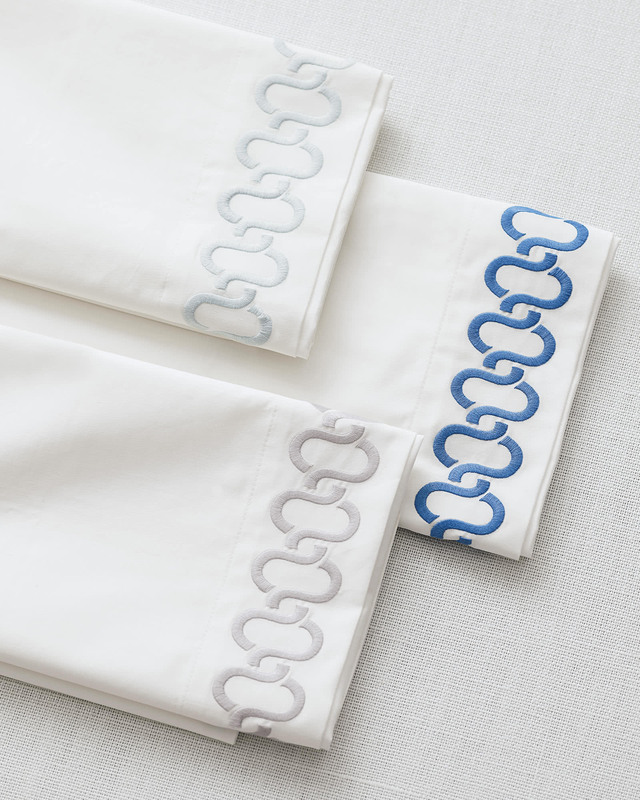 Savoy Embroidered Pillowcases (Extra Set of 2)Savoy Embroidered Pillowcases &#40;Extra Set of 2&#41;, Fog alt="Savoy Embroidered Pillowcases &#40;Extra Set of 2&#41;, Fog"
Print A beautiful banister we once spotted was the inspiration for this design. Impeccably stitched on crisp cotton sateen, the banister shape gives texture to a basic white background. If you're looking for a luxurious basic, you're in luck.